The Fargo Cass Public Health Emergency Preparedness & Response Division will conduct a summer Community Emergency Response Team (CERT) training beginning June 6. CERT is an All-Hazard approach to train and educate citizens in case of a large or small-scale disaster. Following a major disaster, first responders who provide fire and medical services will not be able to meet the demand for these services. CERT training provides life-saving skills and techniques for people who will rely on each other for help in the time of need. The Fargo Cass Public Health Emergency Preparedness & Response Division will conduct Community Emergency Response Team (CERT) training beginning April 3. CERT is an All-Hazard approach to train and educate citizens in case of a large or small-scale disaster. Following a major disaster, first responders who provide fire and medical services will not be able to meet the demand for these services. 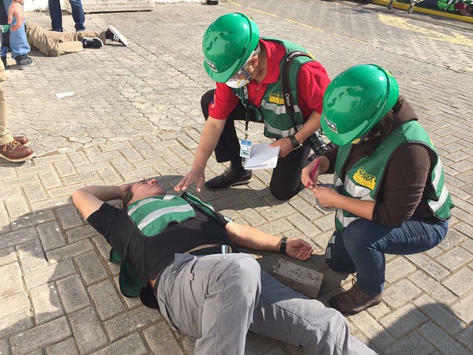 CERT training provides life-saving skills and techniques for people who will rely on each other for help in the time of need.